This past year, Samsung introduced the world to what they thought a phone with a curved display should look like. The Galaxy Note Edge, which featured a secondary display that curved off to the side was released to test the waters to see if it was something consumers would enjoy. The experiment must have been a success because on a variant of the Galaxy S6, Samsung is going to push it further. According to a new leak from SamMobile, it was confirmed to them that a variant of the Galaxy S6 will come with dual-edge displays. 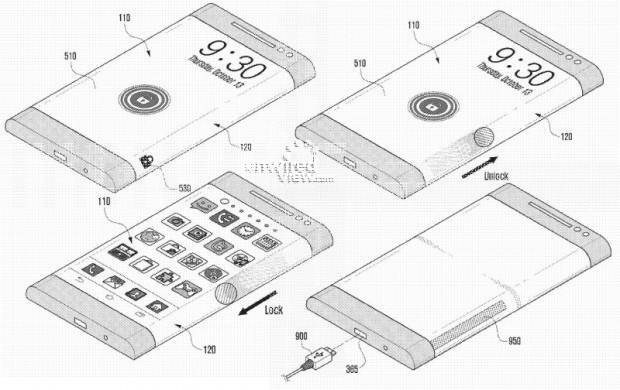 That means the device will have the Note Edge treatment to both sides of the device. It is expected that the edge displays will feature the same panels as the original Note Edge, along with some more goodies to be announced. Along with the features that came with the original device that sported an edge display, the Galaxy S6 “Edge” will have an option for the user to choose which edge display is their primary. That way, only one side will display the information whereas the other side won’t be used. The device will also have “Glance Lighting” which will light up the specified edge display when you receive notifications when the device is turned over. Lastly, you can assign colors to contacts, as that will be the color of the edge display(s) when they are contacting you via call or text. This is definitely the biggest news to drop about the Galaxy S6 so far, and we’ll continue to keep you updated with whatever we come across. Do you think the the edge display will be more than a gimmick if it is on both sides of the device; will you get Samsung phone that has a dual-edge displays? Let us know!